It’s been a while since I made cookies, after the holidays I hung up my cookie-making shingle, and concentrated on cooking healthy wholesome food. 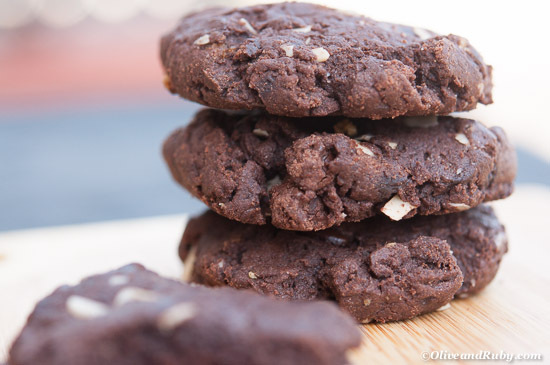 Then I saw a picture of these cookies, and just like that, I'm making cookies again. Split pea fritters fried to a golden brown, served with either a tamarind or mango chutney. This is pholourie - a much-loved Trinidadian street food. 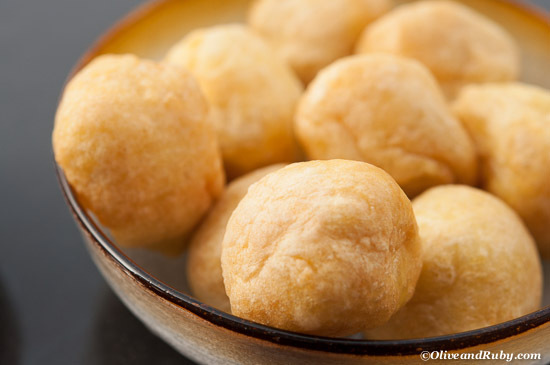 The sight of these round golden brown fried balls take me back to a very happy time in my life. 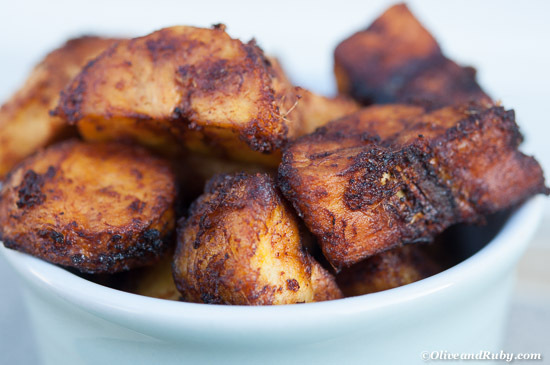 On a recent trip to Ghana I made these for my family and friends, a couple people asked for the recipe so this one's for you :) You're welcome! Warm weather = outdoor living with lots of good food, drink, grilling and summer salads. I’m not sure when summer will finally arrive in TO but I’ll be ready, with some great summer salads. 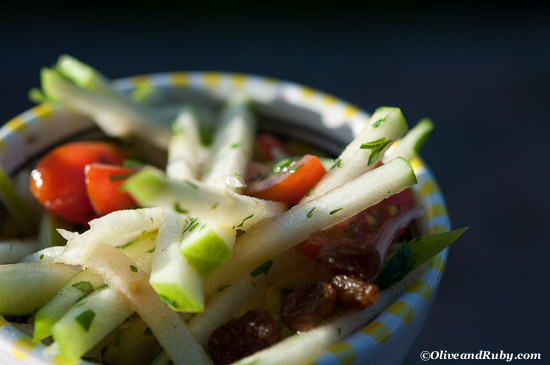 With one apple and a handful of raisins here’s a great salad that’ll have hiding this from your guests cause you won't want to share. Warmer weather means open windows, and open windows bring in the sounds of the neighbourhood. One of the most common sounds of summer is the music from the ice cream truck as it slowly drives through the neighbourhood. It’s a universal sound that evokes happy memories of childhood, summer days and sweet treats in the hot sun. 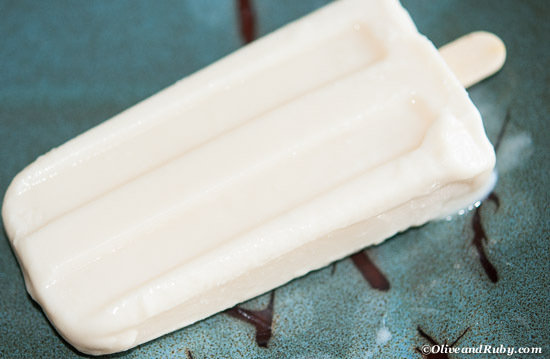 Today, I made one such treat from my past - soursop iced lollies - read on to find out what they are. Here's a quick, easy yet tasty meal that you can get on the table in about 30 minutes. 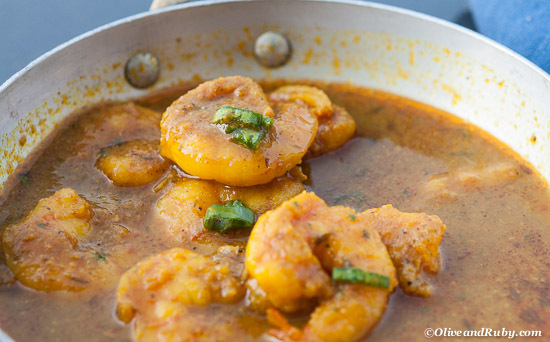 Big, juicy shrimp coated in a tasty curry sauce which can be adjusted to be as spicy or mild as your taste buds can handle. This is an old family favourite that I hope you enjoy.